“I don’t race much, but this guy in a full bolt-on 350z was talking sh*t saying he could beat me. We all know that’s a joke. 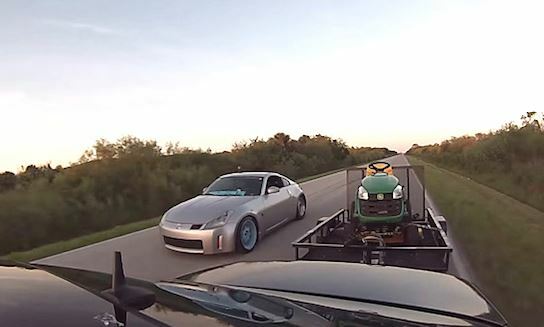 So instead of just walking him I loaded my trailer with my mower and showed up at the meet. This is what happened.” – Mercedes E55 Owner.